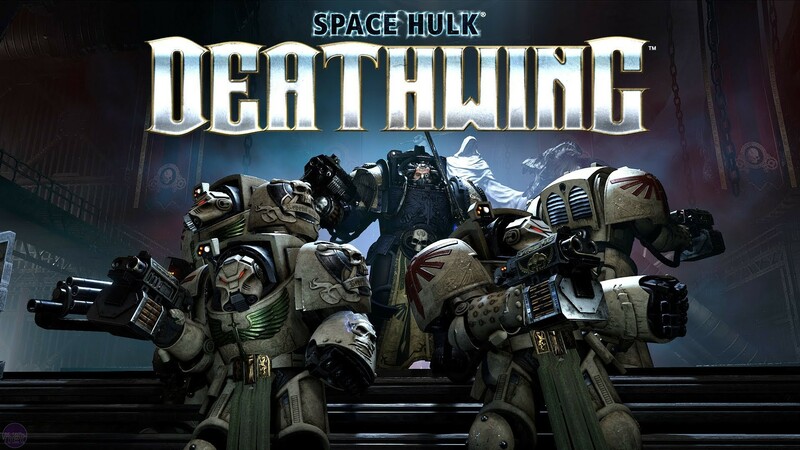 I've always loved Space Marines. There's just something about their sense of purpose. The armour, the ridiculous bolt-guns (a machine gun that fires exploding ammo) and the fact they can gob a mouth full of acid into your face. Space M+arines, when they're not eating you to gain your powers (really in the rules, look it up) are all about murder. 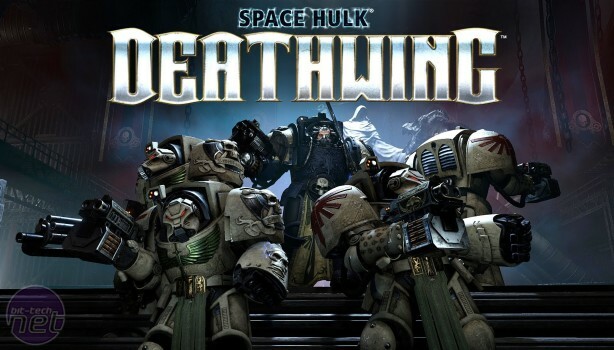 Space Hulk, the board game on which Space Hulk: Deathwing is based, puts you in command of a team of Terminator Space Marines, who have bigger armour and sillier guns, as they try to make their way through a derelict spaceship in an attempt to escape Tyranids, who are insectoid aliens that basically just want to kill everything. They have a lot of bladed parts. 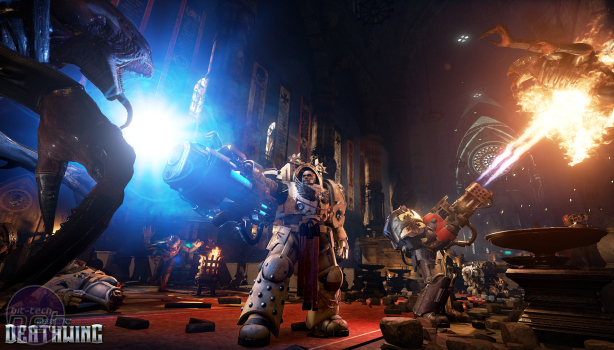 It's a solid board game, but where Deathwing is looking to improve on it is turning the concept into a four player co-operative shooter. We didn't get a hands on, but it feels reminiscent of Left 4 Dead, with the aim of travelling through a variety of ships fighting the Tyranids as you travel from safe room to safe room using these sealed areas to heal and re-arm for the trouble ahead. Tyranids though, to state the obvious, aren't zombies. They move faster, they do a lot more damage, and an unpredictable AI model means that they might attack you head on, they might split up to try to hit you from multiple angles or run away to join a bigger group if they're not sure they can take you. In addition to the beasties, you'll also have to contend with ship defences that have been left active. You might be able to hack these and turn them against the tide of scuttling insects coming towards you, or you could just blow them up. It's up to you. Whatever choice you're making, you'll need to make it fast. You'll frequently be overrun and Deathwing will devolve at times into crisis management. Do you weld the door behind you to stop the tide, or do you leave it open in case you need to fall back? Damage is location-specific and as areas take critical damage they'll stop functioning: guns will stop working, you won't be able to sprint. There's a real feeling of being worn away under the assault, which should make the fights feel increasingly tense. Those persisting with it will find a deep progression system that gives a lot of options but isn't essential for success. The multiplayer is class-based, letting players select from five different classes, such as psychic librarians, medics and heavy weapons. It seems like fun, and if you get bored of co-op blasting, you can just explore the different ships on offer. The ship we saw was a Space Marine ship with the inside decked out like an ancient cathedral, complete with giant statue of a Space Marine clutching a sword. 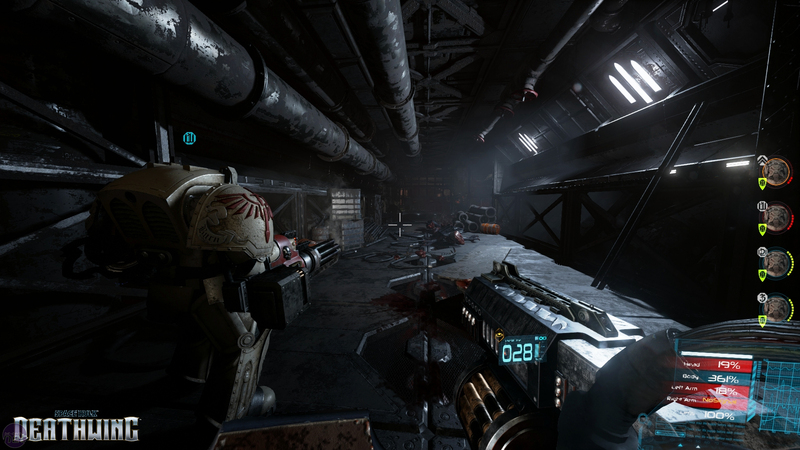 Space Marines don't do interior decoration by half and as a result it's an incredible sight to behold. Great interior decorators, the Space Marines. There will also be ships from other races and although I didn't get to see them, I'm hoping they all keep a distinct visual style, because variety in the environments is going to be key for replayability. 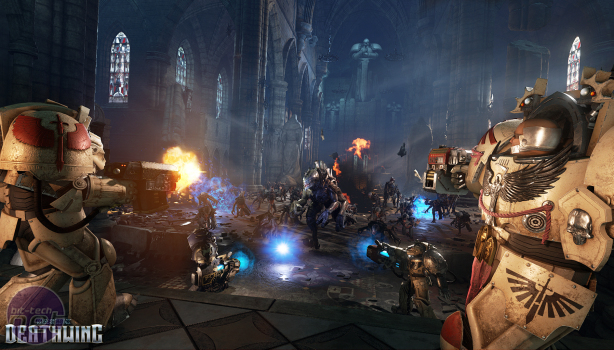 There'll be more on the game, and hopefully some sort of beta I can fiddle with before launch to form a concrete opinion, but Left 4 Dead with powered armour, massive guns and stoic slaughter? I could go for that. We wrap up the Gamescom VR roundup with some blasting, some exploring and a bit of magic.